MTV today announced that the “2016 MTV Movie Awards” will debut an exclusive sneak peek from Warner Bros. Pictures’ highly anticipated super villain movie Suicide Squad, set for theatrical release on August 5. MTV “Generation Award” recipient Will Smith, along with Jared Leto, Margot Robbie and Cara Delevingne, all stars of the film, will present the never-before-seen footage to their fans. Hosted by Dwayne Johnson and Kevin Hart, the awards ceremony will air on Sunday, April 10 at 8:00 p.m. ET/PT from the backlot of Warner Bros. Studios in Burbank, Calif. 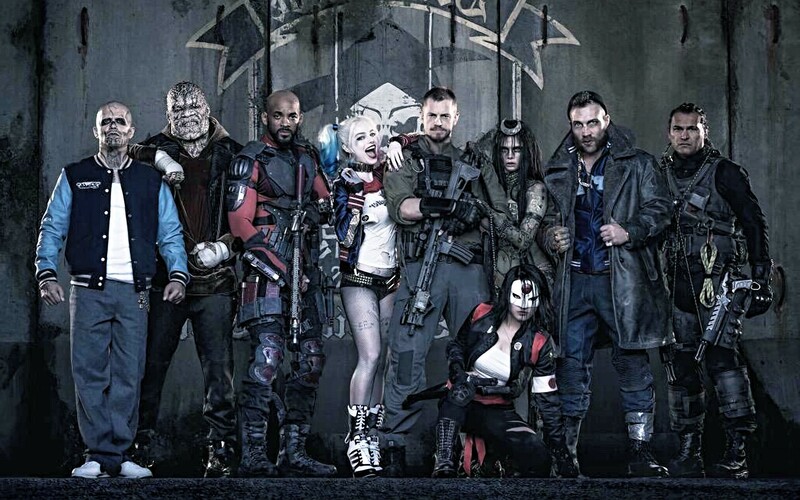 Written and directed by David Ayer (Fury, End of Watch) and based on the characters from DC Comics, Suicide Squad assembles a team of the world’s most dangerous, incarcerated Super Villains, provides them with the most powerful arsenal at the government’s disposal, and sends them off on a mission to defeat an enigmatic, insuperable entity. U.S. intelligence officer Amanda Waller has determined only a secretly convened group of disparate, despicable individuals with next to nothing to lose will do. However, once they realize they weren’t picked to succeed but chosen for their patent culpability when they inevitably fail, will the Suicide Squad resolve to die trying, or decide it’s every man for himself? Official sponsors of the “2016 MTV Movie Awards” include M&M’S® Brand, Mountain Dew® and Taco Bell®. Casey Patterson, Garrett English and Jane Mun serve as Executive Producers for the “2016 MTV Movie Awards.” Jim Roush serves as Co-Executive producer. Wendy Plaut serves as Co-Executive Producer and Executive in Charge of Celebrity Talent. Sandy Alouete is Executive in Charge of Music Talent. The “2016 MTV Movie Awards” official gift bag is produced by Karen Wood at Backstage Creations.